SOS Children's Villages has been present in South Korea since the 1960s, when Hermann Gmeiner visited the country. South Korea was the first country outside of Europe where SOS Children's Villages started working. The organisation arrived in Daegu in 1965 , while activities in Suncheon and the capital city of Seoul followed in the next decades. 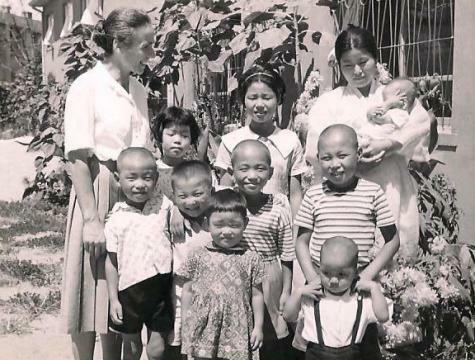 At first the organisation supported mostly refugees from the Korean War, but as time passed, the needs of children who had lost their parental care due to poverty became more pressing. As the country has developed economically, the work of our organisation has adapted to the new circumstances. At present there are three SOS Children's Villages in South Korea, three SOS Youth Facilities, one SOS Kindergarten, one SOS Vocational Training Centre and four SOS Social Centres. The Republic of Korea is located on the southernmost tip of the Korean Peninsula in East Asia. It is bordered by North Korea in the north, the East Sea or the Sea of Japan to the east, the Korea Strait to the south and the southeast, and the Yellow Sea to the west. South Korea has a population of 48.7 million (July 2011 est. ), with the capital city of Seoul being home to around 9.8 million people. The Republic of Korea came into existence in 1948, but two years later the Korean War between South and North Korea started and did not end until 1953. To this day, relations between the countries remain very tense. Since the end of the war, the successive Korean governments have aimed to stabilise the economy and this was achieved in the mid-1970s. Nowadays, the Republic of Korea is one of Asia's major economies and among the world's 20 largest. The nation was affected by both the Asian financial crisis of 1997-1998 and the more recent global crisis of 2008-2010 but managed to recover successfully both times. Gross domestic product grew by over six per cent in 2010. The economy is predominantly service based with over 68 per cent of the labour force employed in this sector; around 24 per cent work in industry and just over seven per cent in agriculture. The unemployment rate is low at 3.3 per cent. The people of South Korea have a high standard of living: they have access to safe drinking water, decent sanitation facilities and good medical services. One of the challenges that South Korea faces is the fact that the population is aging; the country has one of the lowest birth rates in the world and a high life expectancy rate at 79 years. South Korea is densely populated and 83 per cent of the population lives in urban areas. During the economic expansion in the 1960s and 1970s many people moved to the cities. The rapid rate of industrialisation and urban development caused some environmental concerns, which the government has recently attempted to address with its "Green Growth" policy. The wealth of the past decades has not been equally distributed and there are extremes of wealth and poverty. About 15 per cent of the population lives below the nationally-established poverty line (2006 est). Poverty particularly affects people over the age of 65 or those who do not have a job. Around 16 per cent of the population is under the age of 14 in Korea. The low birth rate has prompted the government to provide financial incentives to people who have children or adopt them from the state orphanages. 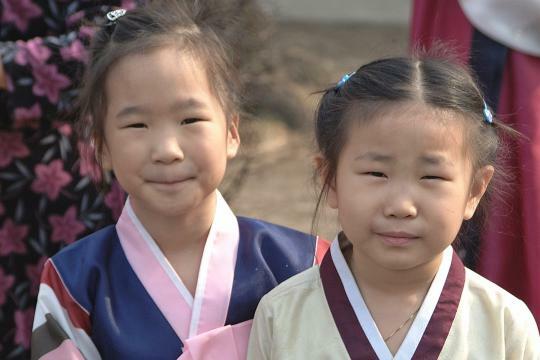 Most Korean children have benefited from the improving standard of living. They have access to quality medical services, and the number of infants who die under the age of five has been decreasing over the past decades. South Korea's children have access to an excellent educational system - in 2006, the Programme for International Student Assessment (PISA) ranked it as one of the best in the world . Korean society places great value on education and it is seen as a priority to further the country's success. In spite of the improving economic situation, some children of South Korea are still at risk of losing parental care, particularly those living in poor households or those born to single mothers. Since the end of the Korean War in 1953, South Korea has sent more children overseas for adoption than any other country in the world. In light of the low birth rate and the increasing wealth in the country, the government passed legislation to stop the practice of international adoption by 2015. In the 1970s and 1980s, South Korea experienced an economic boom, which was unfortunately followed by a crisis. The rising unemployment and social problems meant that many families were no longer able to look after their children - at this time SOS Children's Villages work became vitally important, providing a loving home for children whose parents can no longer take care of them. SOS Children's Villages has continued to support families by providing day care for young children as well as guidance and care for young people; and the social centres have provided leisure clubs, educational therapy and counselling to local children, young people and families.